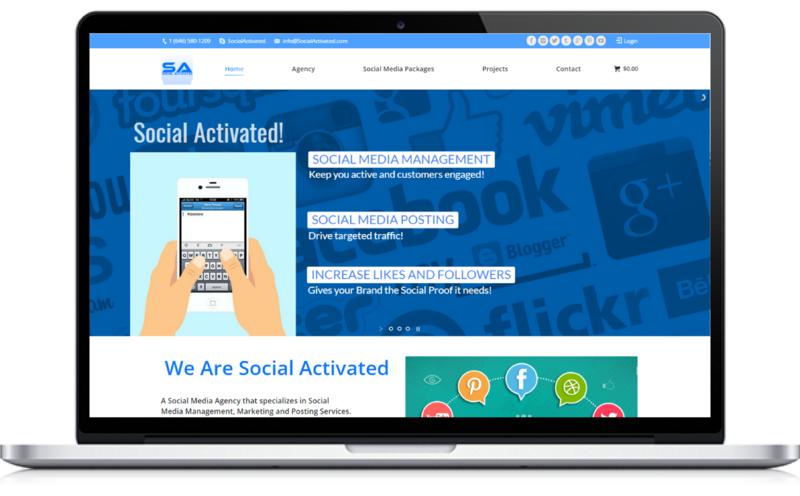 Social Activated is a social media agency that needed an E-commerce website that was able to take one-time or subscription payments, provide promotional codes and free trials for their clients. During checkout, customers are able to create their own accounts to login, save payments, change/cancel subscriptions and change their personal information and passwords. Also, we added a system for affiliates, sales reps or marketers to sign up and generate a unique code and link, so that when they share this unique link the website is able to track anyone who buys from this link and show the commission for that user. This is a great way for Social Activated to really make an impact in their marketing and lowering their cost and time with their marketing efforts. “A Social Media Agency that specializes in Social Media Management, Marketing and Posting Services.